In need of some medical help but not sure if your Japanese is good enough for it? 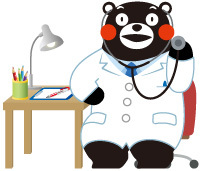 Check out the English Speaking Doctors in Kumamoto page on our site! It contains information on a variety of English speaking medical services throughout the prefecture. As always, we are looking for new additions to this page. If you know of any English speaking medical resources in your area, please e-mail the PAs so we can add it to the page. Thank you!